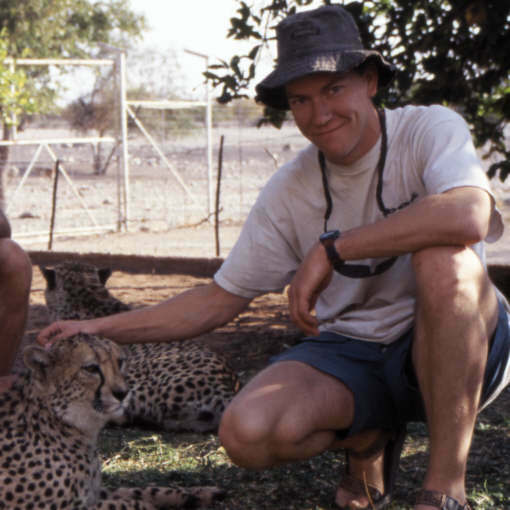 My second term of classes at Cambridge (called Lent term), was a busy time. While the first term had a lot of introductory material, this term was full-on, all the material was new and worst of all it was all examable. In hindsight (and only in hindsight), it was great- they take you from knowing nothing about speech and language processing to being up on all the state-of-the-art techniques. 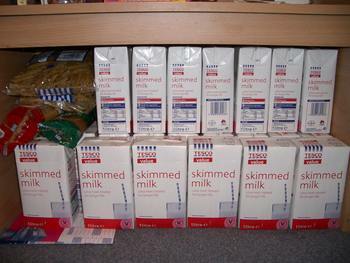 I saved time by avoiding trips to the grocery store thanks to my kingdom of milk. There were also two lab practicals, the first speech lab was going quickly until I hit the step that said “implement a continuous speech recognizer”. Okay this is going to take a little longer than I thought. The second practical had us implementing a question answering system. The idea is that the system gets a question like “Why did David Koresh ask the FBI for a word processor?” and your system responded with a (hopefully) relevant answer from a set of documents. And if that wasn’t enough, there was also a reading “club” requiring the digestion of stacks and stacks of journal articles. I won’t lie to you, it sucked and I nary had a free moment. 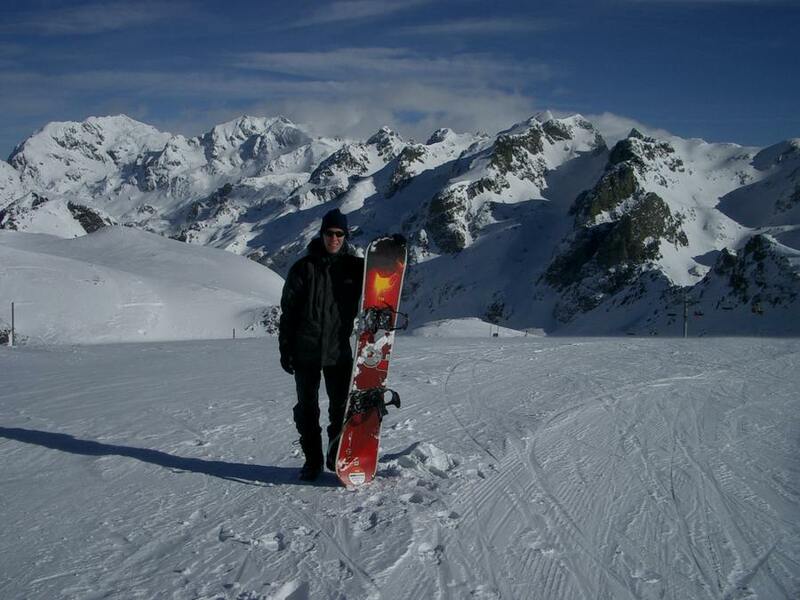 I did make a break for it one week during term, escaping to Grenoble in the French Alps for a few days of snowboarding. This was my first time boarding in the Alps and it didn’t disappoint. The scenery was fantastic and there was some good off-piste freshy fresh one day. Snowboarding in the French Alps. As an added bonus, I had failed to realize I was the designated presenter for a group giving a talk the day after I left for the Alps. It was on some horrible language processing paper that I wouldn’t have understood anyway. No one else in the group had remembered or prepared either, I imagine it was pretty ugly. But I think that was the day the snow was really good, so net-net I think I came out ahead. 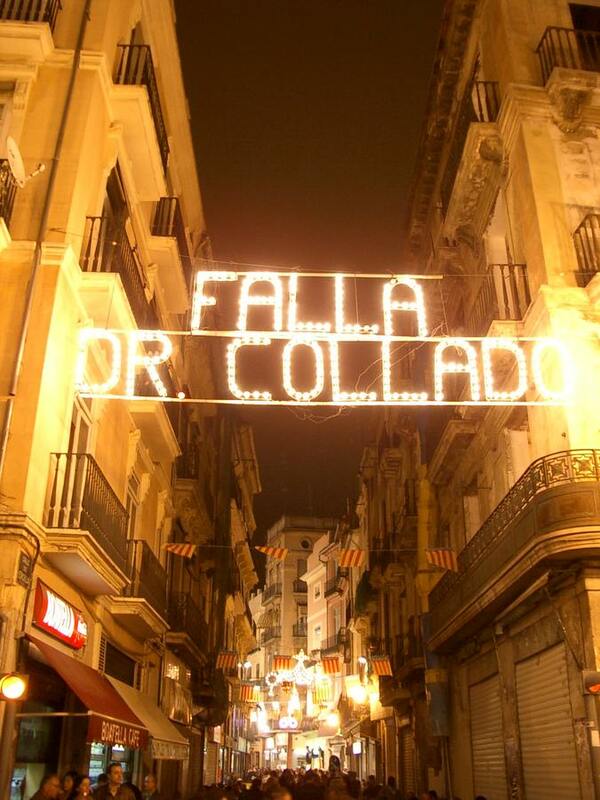 Lighted street sign in Valencia, Spain. After classes finished and all my practical and reading club papers were safely handed in, I headed off to Valencia, Spain. Our friend from Darwin College Adonai is a native of Valencia and had invited us to join him for Las Fallas, an annual festival featuring giant paper mache sculptures. The fallas vary in size from small person sized sculptures, to huge caricatures looming many stories tall. Some have political overtones while others featured exaggerated parts of the human anatomy. 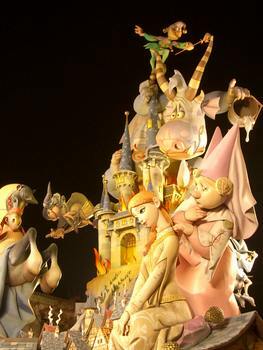 One of the paper mache fallas. Besides the fallas, the festival is also known for its fireworks. As the festival was just after the Madrid train bombings, the Spaniards had cancelled the fireworks the first few nights. But not to fear, the munitions were simply reallocated for the end of the festival. The Spaniards at large also seemed to be coping well, the streets sounded like a war-zone, firecrackers exploding haphazardly all day, all night, on every street. You had to keep a keen eye out in order to plug you ears in time to prevent hearing damage. Now if the unsanctioned pyrotechnics going on in the streets was not enough, every afternoon there were daytime fireworks put on by the festival. These displays were all about sound, large strings of huge firecrackers were hung in a central square and detonated in time to give the impression that the world’s loudest percussion band was playing. 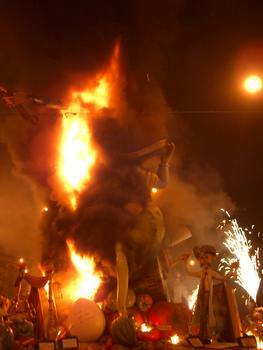 Burning of a falla on the final night. The final nighttime fireworks of the festival was simply the largest, most impressive fireworks I’ve ever seen. It went on for at least 30 minutes and featured a variety of themes, novel types of fireworks, and of course a heck-of-a-lot of loud explosions. 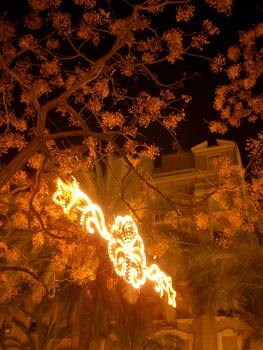 On the last night of the festival, more fireworks take place at the fallas all over the city. After which, the fallas are all set ablaze and burnt to the ground. These guys sure know how to throw a party. Lighted trees along a street in Valencia. The highlight of the trip was a trip we made to Adonai’s parents weekend escape outside of Valencia. Here we enjoyed a huge feast of paella and other Spanish dishes. Adonai being a tricky guy, mentioned to his Mom what a big eater I was while she was dishing up the paella. This resulted in my plate being filled to physics-defying levels of paella. I ate and I ate and then I ate some more. When desert arrived, I was still eating and had to abandon my quest. Needless to say, after desert I had to take a siesta. We then spent a pleasant evening conversing with Andonai’s parents in Spanish, some of which I actually understood. 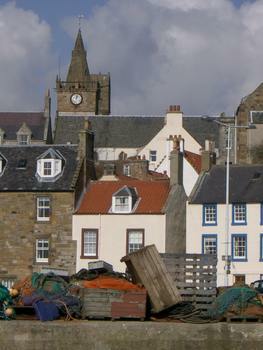 After returning from Las Fallas, I took another trip to Scotland to visit my now married friends Neil and Sarah. Together we had traveled a lot together, last parting ways in Dar es Salaam in Tanzania. It was good to see them again, despite the fact that they now sported Lauren, a trip-inhibiting crying newborn. She was pretty cute I guess and did well on her first hiking trip up the highest local hill. One moment Neil is flying in a Tornado jet. 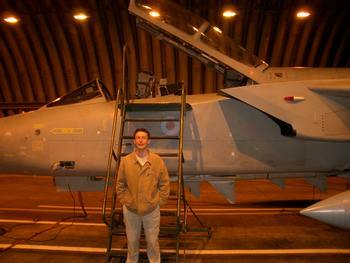 Neil, being all grownup and no longer a student, serves as a navigator on a Tornado air-to-air fighter. He took us on a trip to his base where we saw a cocked and loaded Tornado on standby. I wasn’t allowed to take a spin in the jet, or sit in the cockpit, or even look in the cockpit, but it was neat seeing such a powerful weapon up close. And the next moment, Neil is washing nappies. Anyway I digress. 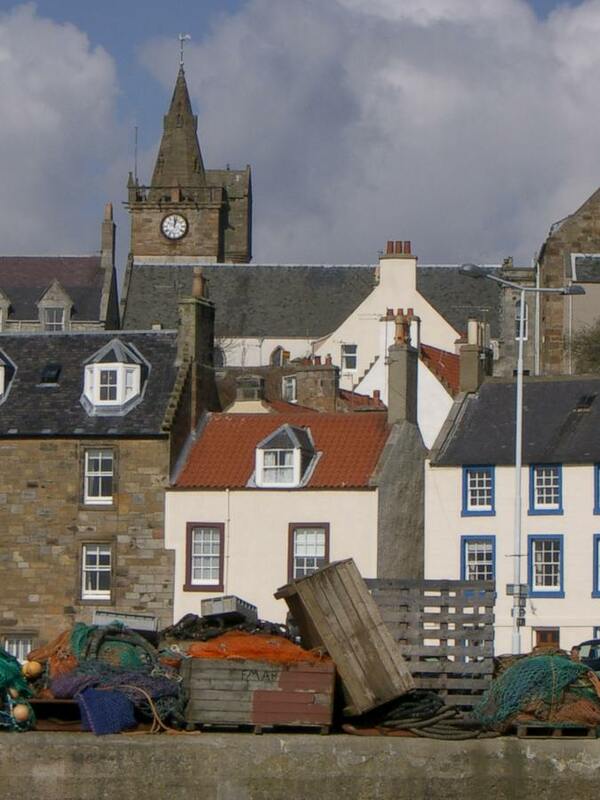 Neil, Sarah, Lauren and I also toured some local fishing villages, stopping for lunch at what is reputed to be the best fish and chips in Britain. After this, it was back to Cambridge to prepare for exams. I had only three weeks to study, a time I now refer to as the “dark period”. Despite gorgeous summer like weather, I was forced to spend 21 consecutive days largely holed up in my room trying to puzzle out things like what the heck the last half of the language processing course was actually about. Does anybody really care how you do default unification in a typed feature set grammar? I really don’t think so. After a sickening amount of preparation, it all comes down to a two-day period of exams. For someone use to US-style exams, the exams feel very difficult. In the US the highest possible grade requires 90-950f the possible points. In the UK, if you get 700f the points, you are doing well, get 80% and you are a legend. This makes the exams very taxing as the questions always go above and beyond what you know. All told, I did better than I thought and passed the taught portion of the course. As a bonus, I got to see an exam proctor in his robe and funny hat and also learned that your pen, backup-pen and backup-backup-pen can all run out of ink virtually simultaneously. With a vow that this would be the last set of exams ever (and I really really mean it this time), I ran screaming out of Cambridge. 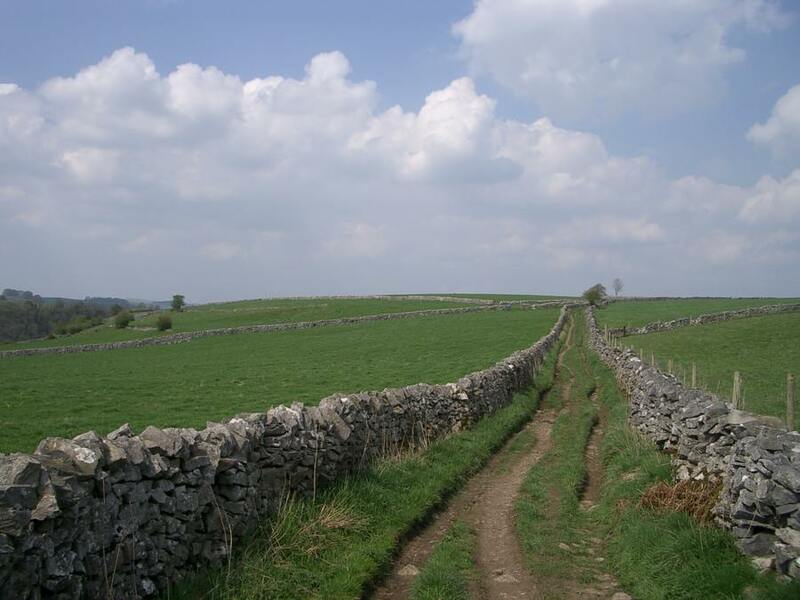 With an utter lack of planning, I found myself on the Limestone Way, a hiking trail in the Peaks District of northern England. I had originally planned to forgo the purchase of the gigantic map covering the area, but thought better of it. I was glad I did, even with frequent consultation of the map, compass and GPS, I still managed to find myself on trails not strictly the Limestone way. 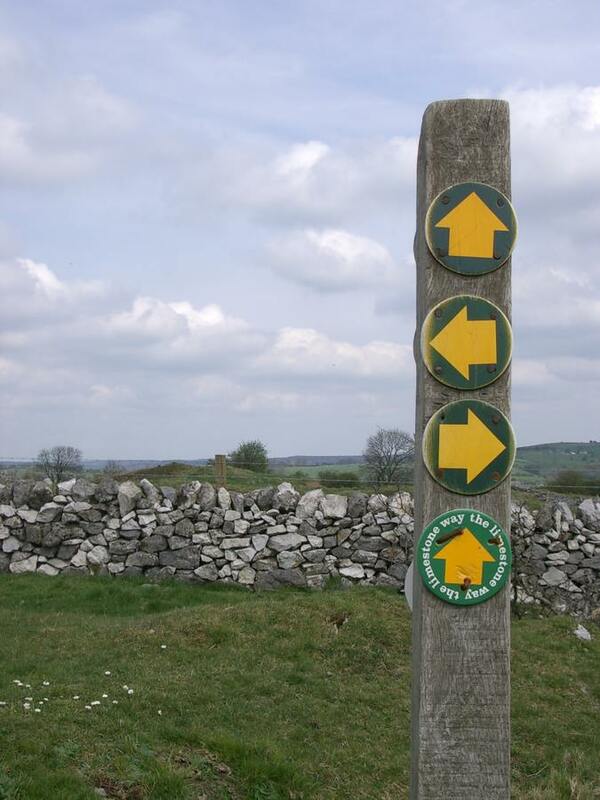 There were a wealth of crisscrossing trails in the Peaks District, usually not very well signposted. 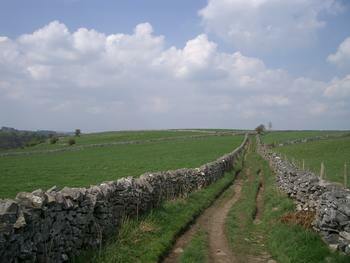 Part of the Limestone Way, England. Despite the name, mountain peaks are few and far between, the landscape is rolling farm country. 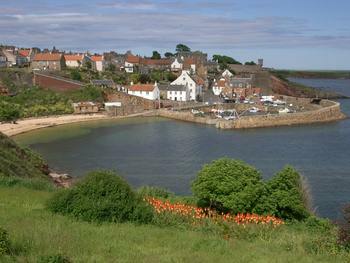 The weather was fine for my three day walk which featured plenty of rocks walls, sheep and cows. 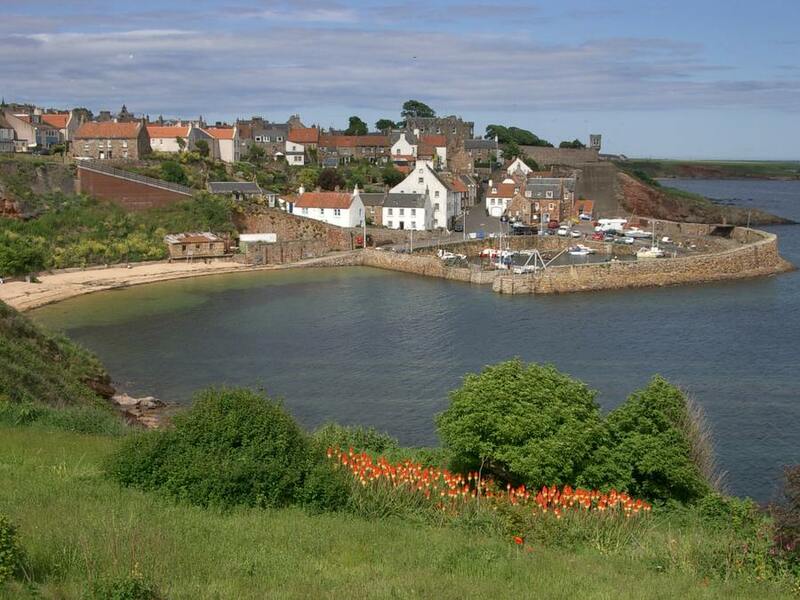 While the terrain was tame in comparison to the wildernesses of North America, it was pleasant in its own right. In the US it would be rare to be able to hike through farm country as the land would be private with no public right-of-ways. I was carrying overnight gear, but found conveniently located hostels after each day’s walk, offering a shower and a hot breakfast. It was a pleasant way to walk and I promised myself to forgo heavy camping gear on future trips and take full advantage of the British “wilderness”, exploring whatever tasty beverages I might find at the end of a day’s walk.